Green specifications provide a foundation for reducing the environmental impact of computing applications and improving the consumption behavior of users by providing a clear and precise specification of the environmental impact of specific services. They can either be used to specify the actual behavior and environmental impact of existing services or to define the requirements that a to-be-built service must fulfill. Green specifications describe the properties of a service from distinct viewpoints such as a structural viewpoint which describes the data types and external components that the service uses, a functional viewpoint which describes the effects of the service's operations using pre- and post- conditions and a behavioral viewpoint which describes the externally visible states and transitions exhibited by the service. These are augmented with non-functional information describing the environmental properties of, or constraints on, the service. In this chapter we provide an introduction to green specifications and give a concrete example of their use to specify a Video on Demand (VoD) service. In the past decade many optimization methods have been developed and applied to reduce the energy consumption and environmental impact of computing services. Green specifications make it possible to maximize the effect of some of them. 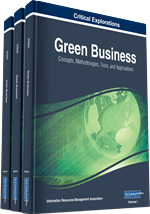 In the following we will therefore provide the necessary background to understand why certain measures of green specifications lead to a reduction of the environmental impact. Furthermore, we will describe the KobrA approach in short, which is used in our example to specify the SoftFlix VoD service.